Practical, versatile, and affordable, our Interlocking Pavers add beauty and value. They provide a tough, long-lasting surface for all types of residential or commercial applications. Quickly and easily create unique patterns and designs with our wide variety of color options. 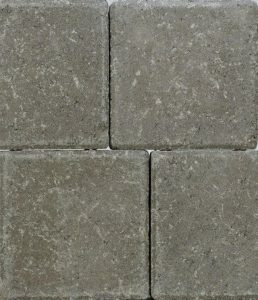 5-7/8" x 8-7/8" x 2-3/8"
8" x 8" x 2-3/8"
Our interlocking paving stones are great for beautifying your home. You can use them to frame a pool, for the driveway leading up to your home, for your patio or for garden paths or walkways leading from your patio. They can fit in seamlessly with your existing home exterior décor and enhance your entire property’s curb appeal and value. These interlocking paver stones are also great for commercial patios, walkways leading up to commercial buildings and other uses. They are inviting yet professional, and you can design your pattern and color to fit in with the general style of your business and commercial building. You have several size options to help you create the exact look that you need, and custom colors may be available upon request. These paving stones are the same durable quality as other Nitterhouse concrete pavers, so they are quite suitable for virtually any commercial application. Re-designing your exterior with paving stones can be a great idea, but it is also an investment of time and money. When you decide to do it, you want your paving stones to be the best. As a provider of high-quality concrete products since 1923, you can be sure Nitterhouse Masonry not only has all the material you need to create a great paving stone design, but that those pavers will be tough, long-lasting and beautiful. When you’re ready to transform the exterior of your home or business with great interlocking paving stones, just get in touch. Submit the form below to give us a little information about you and your project to get started. Contact us now!